As General Counsel of the FERC from 1997 to 2001, Doug played a lead role in Commission policy initiatives on electricity, natural gas rates, pipeline certificates, and hydropower licensing reform. As Deputy General Counsel for Energy Policy at DOE, he played significant roles in Departmental initiatives on electricity restructuring, the Climate Challenge program, and new energy efficiency standards. Doug speaks frequently at conferences on energy regulatory issues. Doug has also been on the adjunct faculty at the George Washington University Law School, where he most recently taught a class on Energy and the Environment. 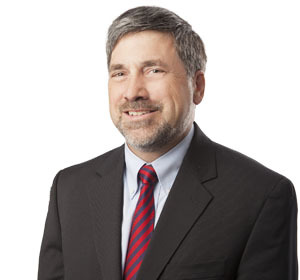 Doug is the coordinator of Van Ness Feldman's electric practice and serves as a member of the firm's Executive Committee. Advises regulated companies on FERC rulemaking and policy matters. Represents electricity clients in FERC rate matters. Represents clients on FERC review of mergers and acquisitions in the electricity sector. Assists clients with regulatory due diligence on energy projects and transactions. Represents regulated entities on FERC audits and investigations. Assists clients with regulatory compliance and training programs. Represents equipment manufacturers on energy efficiency regulation before DOE. Provides strategic advice on clean energy and climate change policy for energy companies, manufacturers, and other clients. Works with think tanks to pursue innovative energy and environmental policies. Speaker, "Federal Energy Policy: Developments with Potential Impact on Northeast Energy Markets"
"Reading the Tea Leaves: The Likely Direction of FERC Policy in the Post-Wellinghoff Era"
"Federal Regulatory and Legislative Developments in the Upcoming Election"
Panelist, "Developing Your Strategy for the Future"
Conference Co-Chair; Presenter, " Electricity Utility Regulation: Current Regulatory Challenges"
"Update on U.S. Energy Policies for 2007"
"Climate Change and Energy Policy"